Our world it full of beautiful sights, sounds and experiences. While some of the most impressive sights in the world are constructed purely by the whims of the earth, wind, and rain, others are created through our own adventures and visions. There are enough fascinating sights in the world to fill a lifetime, but these should definitely be at the top of your list. 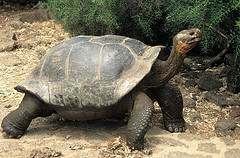 When it comes to fantastic animals and hidden natural treasures, look no farther than the Galapagos Islands in Ecuador. Here you’ll find tortoises, sea lions, brilliantly colored lizards and some of the best diving and snorkeling imaginable. It’s a world of carefully preserved evolutionary miracles. The sheer volume of beauty contained in one city is hard to put into words, but Venice surpasses almost all expectations. 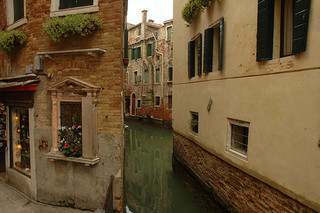 Filled with ancient buildings, statues, fountains and canals, Venice is a bustling city not far removed from the thriving merchant island it was a thousand years ago. 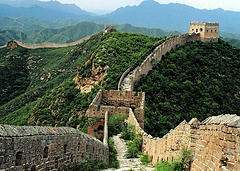 Construction on the tremendous wall of fortresses and defenses started 2,600 years ago and building went on for more than 1,500 years. Most impressively of all, the wall is still standing with the same strength and impressive power as it was two millennial ago. 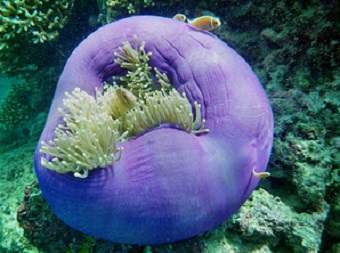 More than 2,000 kilometers of beautiful corals, sea creatures, and islands stretch along the Great Barrier Reef on the coasts of Australia. Whether you enjoy the views of the white sand beaches or are brave enough to swim with the thousands of brightly colored fish to see the coral and underwater life, the reef is a tremendous adventure. 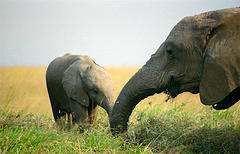 This large game reserve is one of the best known in the world for good reason. The reserve is tremendous and well protected to allow its residents – lions, leopards, elephants, rhino and buffalo – to thrive in a natural habitat. Visit at the right time and you can also enjoy watching millions of wildebeest migrating across the plains. 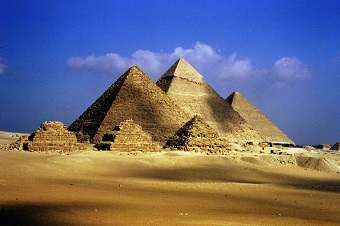 Constructed in 2560, the Great Pyramid of Giza is one of the most famous attractions in the world. 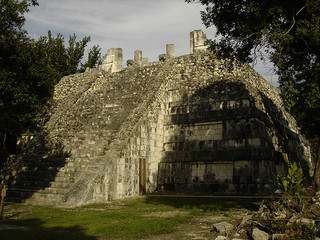 2.3 million blocks of stone were used over a twenty year period to construct the large monument. Standing 450 feet high, the pyramid stands over the rolling deserts as it has for thousands of years, a testament for all visitors. While in Egypt, you should also journey to Luxor to see the towering pillars of truly ancient Egypt. The Karnak temple in Luxor is home to a dizzying maze of columns, obelisks and hieroglyphics. 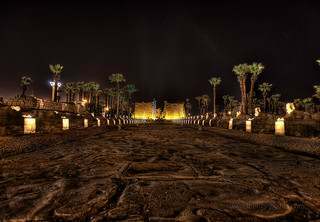 Located a ways from the pyramids, Luxor is also home to impressive tombs including the Cliffside tombs of the Valley of the Kings where you’ll find Tutankhamen’s own resting place. While certainly not a marvel of nature, the bright lights of New York City are one of man’s most impressive creations. 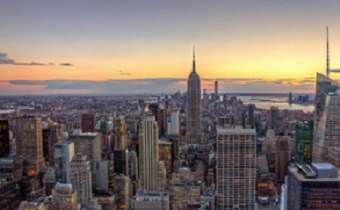 Take a stroll down Broadway or enjoy the sights of the man-made jungle from the top of the Empire State Building. This is a city that truly never sleeps. The ruins of Chichen Itza in Mexico are one of the most impressive images that remain of an ancient people in Latin America. The Maya civilization built the large city of Chichen Itza sometime before 900 AD and today you can climb to the top of the soaring pyramid of Kurulkan and stand atop one of the Seven Wonders of the World. Truly no work of man, the Northern Lights are an impressive display that are only visible from the chilly reaches of the north. 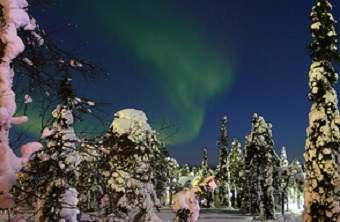 Take a trip to Canada, Alaska or perhaps Finland to gaze up into the night sky and enjoy the impressive bands of color produced by the Aurora Borealis. Known for cold temperatures and a colder name, Iceland is also home to one of the most impressive geothermal pools in the world. 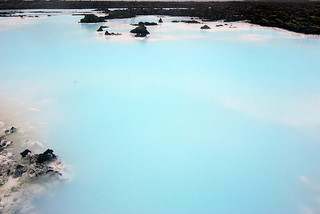 The Blue Lagoon is a milky-blue lake centered amongst the black lava of a volatile environment. Naturally heated sea water fills the pool, and visitors from all over the world enjoy the healing of the water and white silica mud. 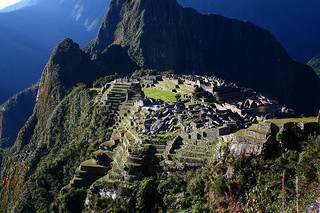 You may need to hike to truly get the most of this destination, but the great civilization of Machu Piccu is home to the ruins of the impressive Inca civilization. Walk down the streets to gaze at the cobblestones that are still completely intact and take in the walls, the plaza and the ancient items found throughout in the many museums located near the ruins. 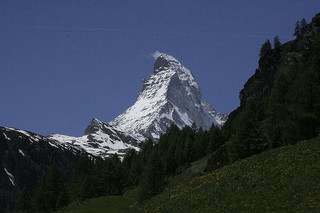 Perhaps one of the most famous mountains in the world, the Matterhorn in Switzerland stands sentinel behind the village of Zermatt. With the mountain rising in the distance, you can hike, climb or simply enjoy the view of the snow-covered peaks behind evergreen forests and clear mountain lakes. The largest city in Turkey, Istanbul spans both Europe and Asia and is home to many ancient buildings and historical finds. 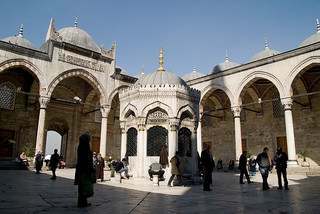 The impressive Blue Mosque stands out in the city along with the Hagia Sofia. Finish your tour of the city by enjoying a stroll through the Grand Bazaar or an authentic Turkish bath. 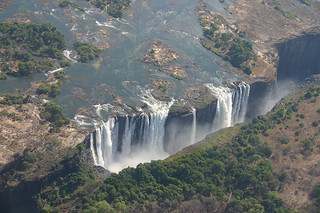 The world’s biggest waterfall, Victoria Falls is formed along the Zambezi River, which runs as a border between Zambia and Zimbabwe, Africa. Discovered in 1855, Victoria Falls cascades down 355 feet (108 meters) creating a dramatic roar of water that will amaze even the most callous visitor. 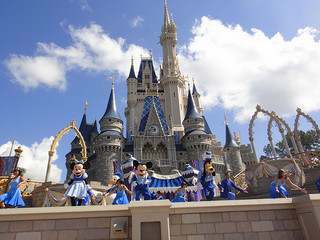 A modern miracle of mankind, there is no theme park more famous than Disney World. Take a break from your nature travels to enjoy the man-made perfection of Disney’s theme parks. Start in the Magic Kingdom and then meet more of your favorite characters in Epcot or Hollywood Studios. Lush and green, the rice paddies and tropical rainforests make this paradise an impressive destination. Stay in a luxury bungalow along the white sands and warm waters of the world-famous beaches. 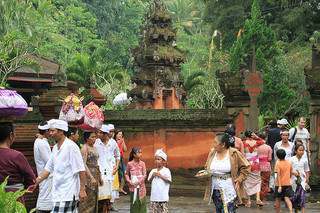 Then take a trip into the villages to see the steps of rice paddies and colorful temples. 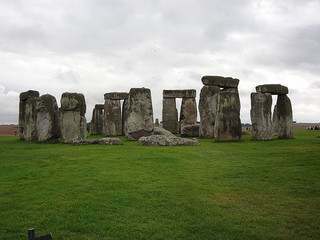 Perhaps the most well-known prehistoric monument in Europe, Stonehenge is an impressive sight complete with a mysterious history and magical draw for visitors. Built more than 5,000 years ago, the giant stones of the monument are surrounding by the rolling hills as they have been for millennial, an impressive sight from afar or from directly below the massive stones. 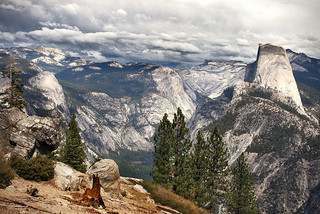 One of the first national parks ever created in the United States, California’s Yosemite National Park is home to giant sequoias, tremendous waterfalls, lush meadows and mild weather. Hike up the hills to see lakes and cliffs of granite or simply take a break and enjoy the views of waterfalls and greenery. There is much to see in the most romantic city in the world. Take a stroll under the Eiffel Tower or tour the Lourve. 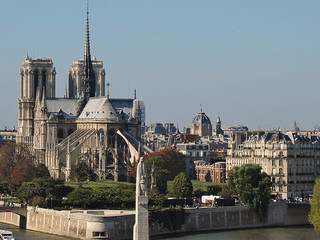 From world class shopping to the luxurious palaces and monuments to a glamorous way of life, Paris is a treasure to be enjoyed by visitors from all over the globe. 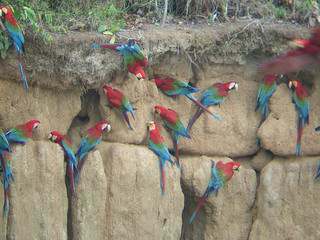 Dense tropical rainforests in the Amazon are home to more than 10 percent of the world’s animals. Most of the world’s remaining rainforest is found in the Amazon, and trips through the forest or even small excursions along its edges will leave visitors in awe of the richness nature can create. 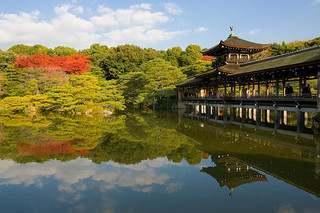 In a country with as rich a history as Japan, here you can find clean streets between ancient palaces, impressive shrines and truly awe-inspiring gardens. Enjoy traditional tea ceremonies and see the ancient and traditional dress of the geisha and maiko before touring the Golden Pavilion, which is designated as a World Heritage site by UNESCO. Walt Disney World?????? A rue nachurl wonder, I guess.